If only Gleb Bell, the founder of this Tex-Mex chain, knew that nowadays every dad calls his precious creature “Taco Hell”, he would’ve probably been deeply shocked. But he would have certainly been satisfied with more than 7000 restaurants serving over 2 billion customers annually. While some crazy radicals foolishly attempt to build a wall to protect the local cuisine (wasn’t that the original intention? ), Taco Bell is building a culinary bridge to guide all keto-minded buddies to a spicy world called Mexican food. And the name of this bridge is customization. Now you can relish your guacamole without biting a flour tortilla or reach for that spicy chicken without rummaging through beans. This guide will help you leverage Taco Bell’s customization options to get delicious and nourishing keto meals. Speaking of bridges. They allow you to fish for perch without being eaten by an alligator. But the alligator isn’t absent, it’s still in the river. The same is true for Taco Bell’s customization. You need to know which ingredient is keto-friendly, and which is a sneaky croc. The nerdiest way to learn about it is to use their online nutrition calculator. The easiest is to just keep reading, the math is already done for you. Beans and rice. They are made of more than 60% carbs which is way too much. Tortillas and taco shells. These sneaky flattened buns can’t dupe you. Cinnabon Delights. Sugar, dough, and a tiny bit of cheese. Minimum respect to keto dieters. Potatoes and nachos. The best nutritional basis to ruin your diet. Wave them goodbye. There’s no way these carb-filled predators of the Taco-B river could fit your ketogenic diet, not even a single bite. Not even one single sniff. Even thinking of smelling them is forbidden. Chicken, beef or bacon. All of these protein options are good for your keto diet. Any cheese. Any means either cheddar or three cheese blend. Guacamole, pico de gallo. Originally developed by Aztecs, they are your Mexican muchachos now. Lettuce, tomatoes, jalapenos. These are great, but where are cucumbers? Eggs. Your old breakfast buddies. Sauces. So far every sauce here is low-carb, but you better ask a cashier just in case. Feel free to double, triple, quadruple, or make all imaginable “uples” with these ingredients; all of them are perfect for your keto diet. Guacamole and Pico de Gallo will evoke the Hispanic spirit, and cheese-meat-sauce basis will provide all the nutrients you need. Knowing the how-to’s, you might be wondering what exactly to order to fit your keto macros. Among all those specialties, value menus, party packs, power menus, and other enigmatic menu sections it might be hard to find the particular item to start with. No worries, it’s about time to break this tricky menu down. You eat to get power, so why bother looking for something else when you have a Power Bowl, which is originally designed to feed ravenous keto eaters. Well, the part about its origins might be slightly embellished, but the ability to customize your bowl is a crowning glory of the 21st century. Start with a regular Power Menu Bowl. It provides 500 calories and 54 grams of total carbs so far. Omit black beans and seasoned rice. 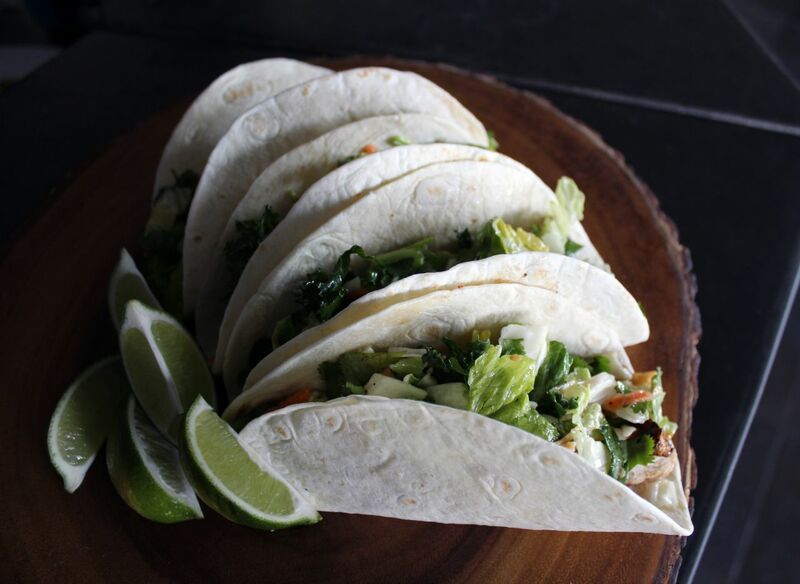 With no mercy to these high-carb baddies, you get a perfect 250 calorie cup packed with chicken, lettuce, guac, pico, and cheddar cheese with 8 grams of total carbs, 15 grams of fat and 21 grams of protein. Alter cheese option. Replacing cheddar with three cheese blend will lower net carbs to 7 grams. Add extras. Extra cheese blend increases calories by 50, fats by 4, protein by 3, and dietary fiber by 1 gram. Extra chicken provides the same 50 calories but 1 gram of fat and 8 grams of protein. Additional avocado ranch sauce brings 40 calories, 5 grams of fat and 1 gram of carbs. That will add up to a hearty bowl of 390 calories, 10 grams of total carbs, 24 grams of fat and 32 grams of protein. Could it be any better? Hell yeah, when you replace chicken with extra seasoned beef. With 460 calories, 33 grams of fat and 23 grams of protein this bowl looks much more keto-balanced than just low-carb. Yes, it now contains 17 grams of total carbs but 8 of them are dietary fiber, so basically it only has 9 grams of net or “real” carbohydrates. Which came first, the pig or the egg? While dotty erudites still argue on that riddle, T-Bell is giving the most accurate answer — they come together as a Breakfast Quesadilla. The eggs are cage-free, and the pig comes in the form of bacon, patty, or sausage crumbles. Start with breakfast quesadilla. Choose one of the protein options listed above. Omit flour tortilla. If you choose the quesadilla with regular bacon-egg-cheese fillers, the nutrition values are 310 calories with 4 grams of net carbs, 23 grams of fat and 21 gram of protein. Beef it up with extras. Extra bacon, eggs, and cheese will add up to a substantial 620 calories, 8 grams of total carbs, 47 grams of fat, and 41 gram of protein. Add extra creamy jalapeno sauce. Bonus 140 calories and 14 grams of fat. Add on additional cheese. It goes on top of the extra cheese and provides 220 more calories. This results in a 980-calorie biggie which seems enough to feed a family for less than 5 bucks. And everything that gives you a thousand calories for less than a fiver is automatically a deal, that’s the law. Another egg option is Grand Scrambler Burrito. The recipe is similar, omit potatoes and tortilla and opt for extra bacon-egg-cheese fillers to get 470 calories with 9 grams of net carbs, 37 grams of fat, and 28 grams of protein. Located in the breakfast menu section, this modest dollar-value dish is not that simple. Indeed, originally it’s a boring potato-egg-pico mix with nacho cheese sauce. But the devil is in the detail, or shall they say, in dat scale. Ok, that literally makes little sense, but so does this puny skillet with 90-calorie value if you omit potatoes. So why waste precious web space to write about it? Add-ons. Just look at its customize page, isn’t it great that you can mix nearly every possible Taco Bell’s protein source into this humble cup? What for? Just because you can. Go for extra egg, bacon, three cheese blend, steak, cheddar cheese, sausage crumbles, guacamole, creamy jalapeno sauce. In the blink of an eye, a tiny dish transforms into a multi-protein 480-calorie monster with a creamy condiment. Does it taste good? Couldn’t be more delicious. Is it worth paying nearly six dollars instead of a buck? You bet. While those mad eggheads are still arguing whether a drink is a dish, any genuine keto-seasoned eater knows the truth. That’s why a part about drinks is inside the dish section. The general rule of picking a keto-safe drink is simple — if it contains zero calories, it’s innocuous to your diet. 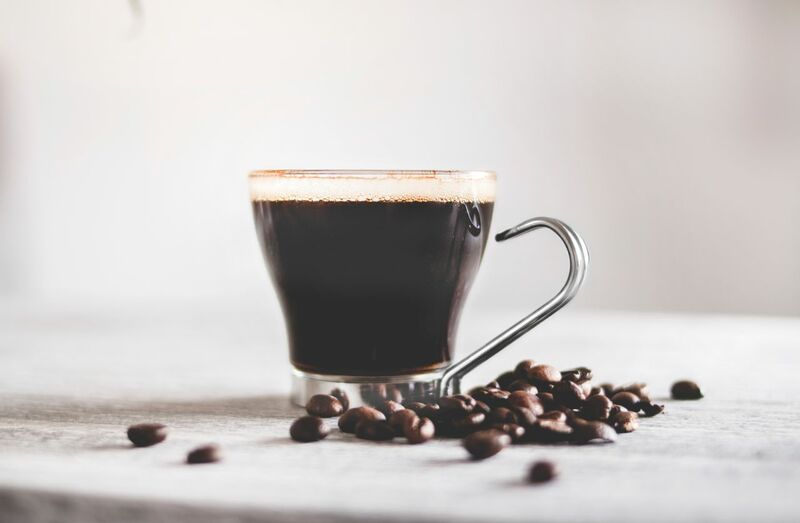 As a true keto devotee, you probably know a dozen ways to create a wholesome fatty drink besides a butter-coffee. But you don’t expect Taco Bell to provide the best drink nutrition, do you? Diet Pepsi. With the greatest respect to Taco Bell’s attempt to distinguish it from the regular Pepsi (just look at that), nothing here is good for your diet except for the zero calorie content. Famous drink with artificial everything besides water. Lipton Unsweetened Iced Tea. It has zero calories, it’s cold, it’s made of real tea leaves. Definitely a keto-friendly option. Coffee. Both Iced Regular and Premium Coffee provide 10 calories, 0 carbs, and 2 grams of protein. Still puzzling where that protein comes from, these drinks are good for your diet. Cup of water. Only regular, no large size. Seriously, T-Bell? Are you in the middle of Sahara? Well, let’s leave that on their conscience. Aside from these, they have various fountain drinks, and some of them contain zero calories as well. Just ask a cashier about other possible options. You might have never thought of having a rendezvous with your darling soulmate in this land of tacos. So did Nicole, and here she goes getting married at Taco Bell. You might also have never thought of stopping by T-Bell during your keto-journey, and here you go reading this guide. Due to the modern low-carb fashion, it was only a matter of time before famous fast-food chains introduced carb-free options. Taco Bell responded with great customization capability; you can pick whatever dish you want and make it totally keto-friendly. The best thing about Taco Bell is pricing. If you ravenously add all possible fillers to your bowl and make everything extra, it still won’t hit the ten-dollar mark. What’s more, thanks to contemporary trends, you get cage-free eggs, chicken with no human antibiotics, sustainable beef, and minimum artificial flavors and colors. All you have to do is to research beforehand (which you already did if you read this far). 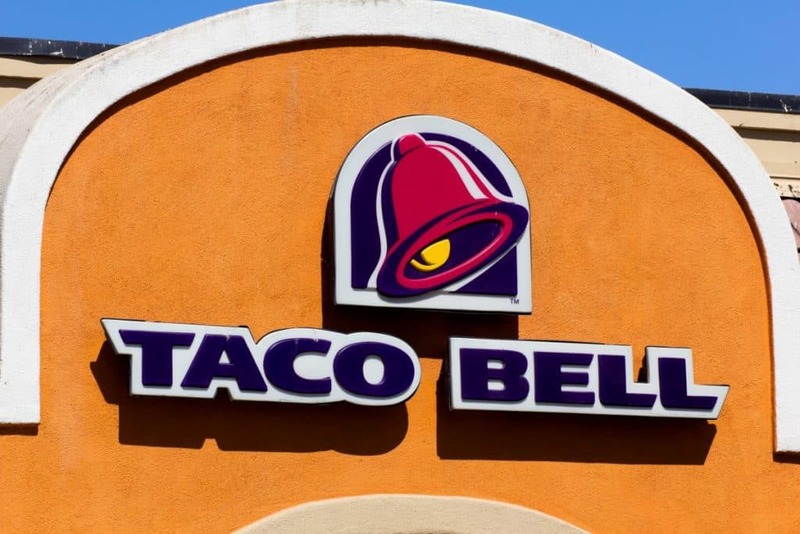 Now, if a pang of hunger strikes, you won’t be taking a taxi to urgently reach your precious fridge; instead, you might stop by Taco Bell and show them who’s the keto-boss.